We know that in Real Estate, getting leads is critical in growing your business. With so many Realtors and Real Estate companies to choose from, standing out is critical. That’s where using AI-powered chat bots can help! 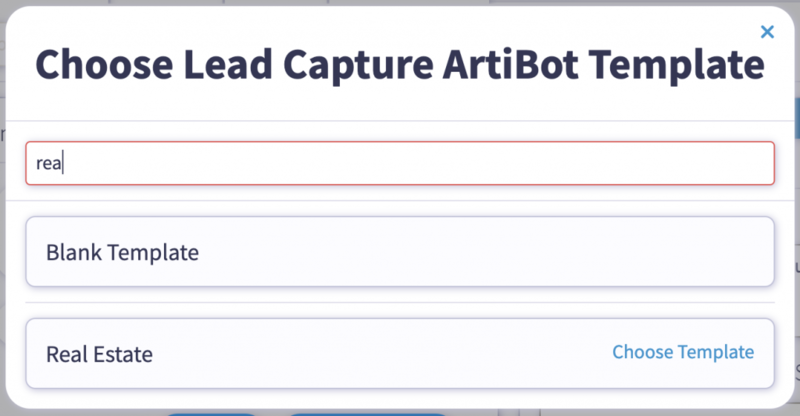 With ArtiBot, you can quickly and easily create a lead capture bot for your website or customize a chat bot landing page that can be shared in places like your email signature and social media. 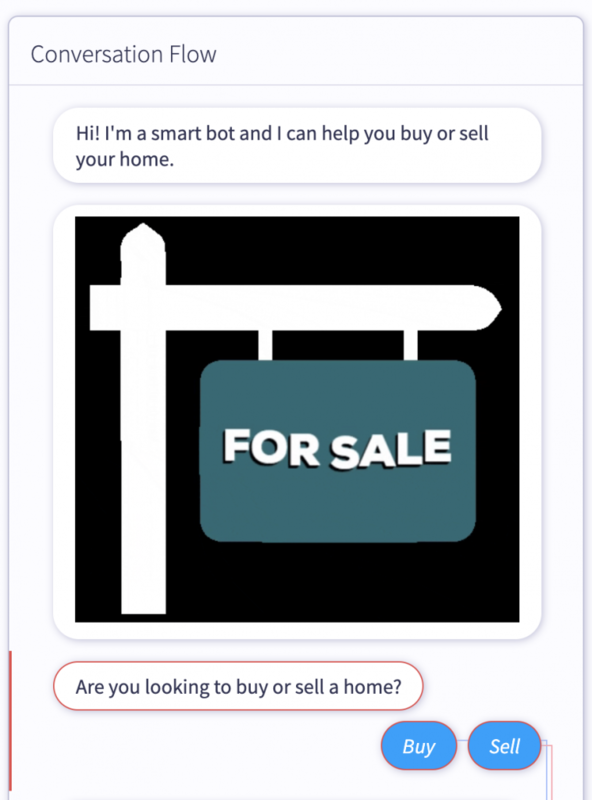 Whether your future clients are looking to buy or sell a home, your bot can help. 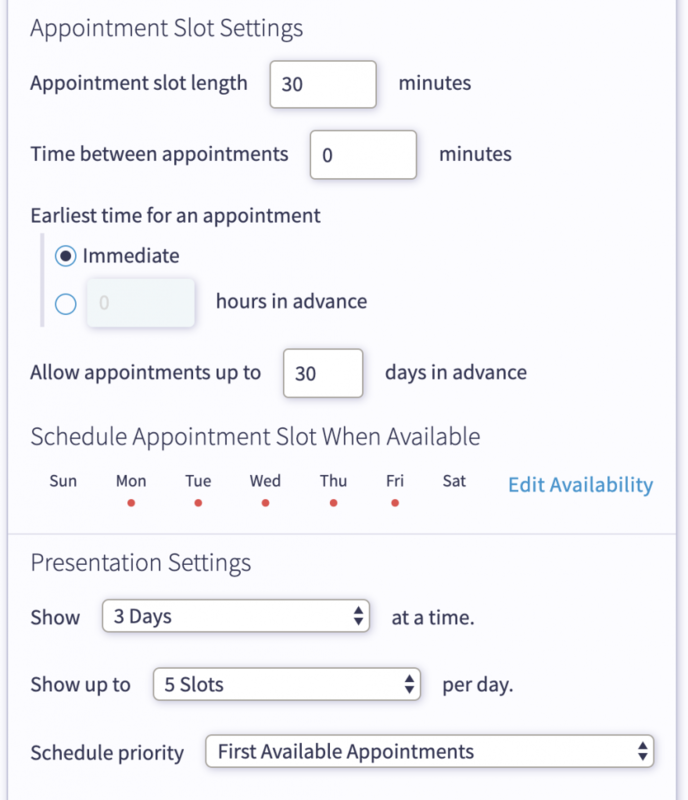 You can customize the conversation flow depending on how a visitor answers each question. 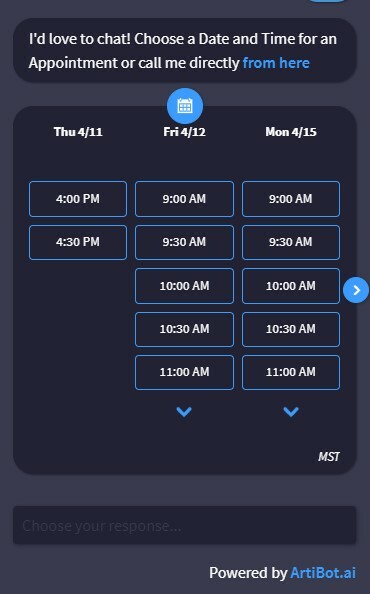 You can even do things like schedule a showing with an interested buyer and even provide them a link to your phone number so they can call you right from the bot. 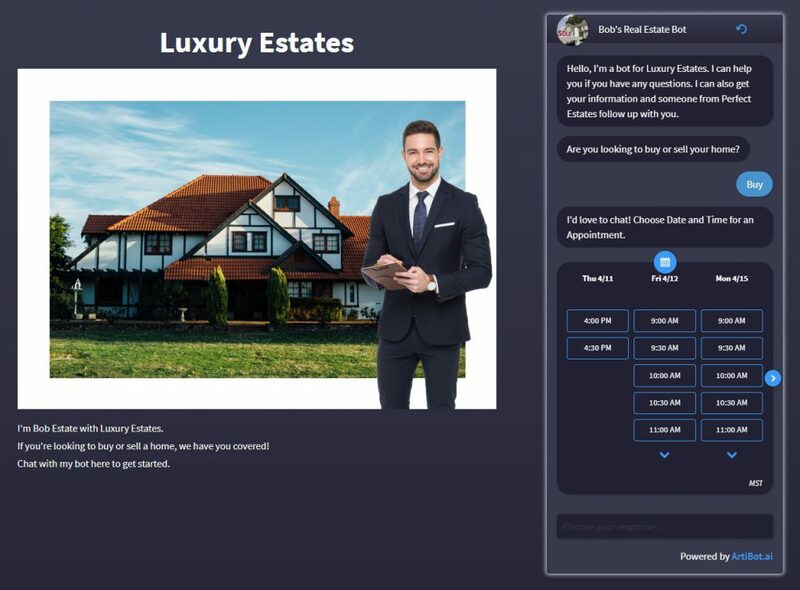 Oh did we mention it’s completely free to create your ChatBot for Real Estate?! A list of available bot templates shows up. Scroll down or search for the Real Estate option and select it. So, what are you waiting for? Create your Real Estate ArtiBot today completely free and start turning your website visitors into instant leads!